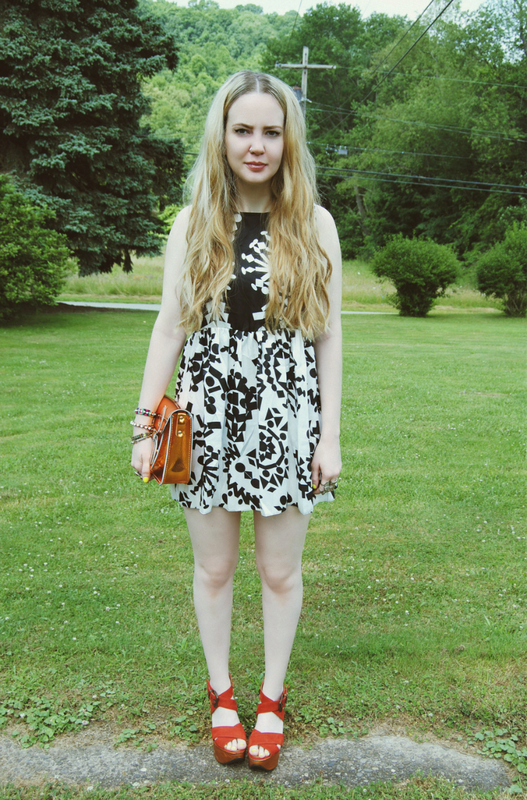 devorelebeaumonstre.com | Pittsburgh, PA | Fashion & Personal Style Blog by Stacey Belko: puzzle pieces. Threw this dress on with these wedges almost immediately after getting it & then totally geeked out after realizing the copper on the wedge matches my new satchel. Such a win. It's the little things, really. Also, I'm so into the cut of this dress for summer. Short & boxy & perfect. Cute look ! I love the bag ! Love it ! Very classy ! The dress is stunning and love your bag. You look really amazing! That bag, the dress, your hair. Super cute! Great outfit. I adore your bag and the dres is divine. Love those shoes with the dress! Perfecto look, enamorada de tus cuñas!! Nice look in black and white! Don't you like the sun? We love sunbath! great bag! Love the color! so cute! i love that you chose brown/gold accessories instead of black. I love the color combo of the shoes and bag with the print of the dress! It looks great on you! Great dress! Lovely blog, what do you think about following eachother? I've always loved those wedges. Great shoes and satchel. 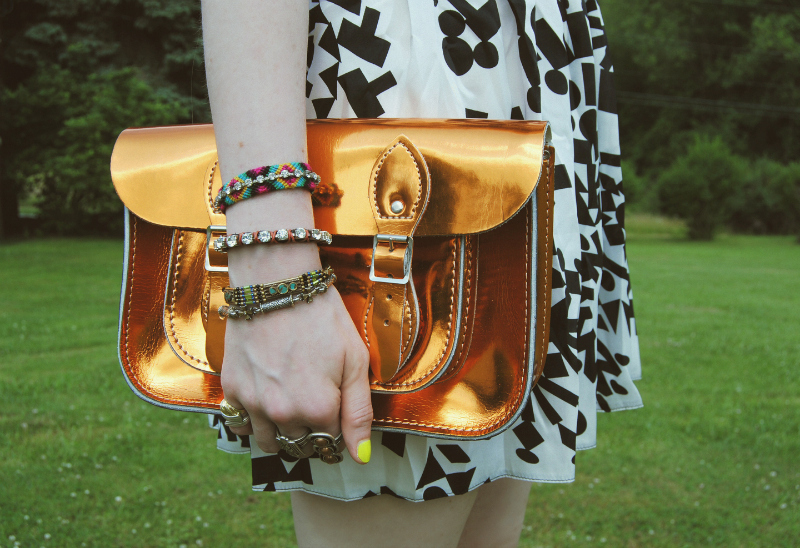 The satchel especially, love the colour! The copper tones make the monochrome dress not boring at all. Awesome! The color of the satchel enchanting! I love also the dress! nice print! and of course again... the shoes! <333 I'm in love. Love your sttyle! And that print is really gorgeous; I love how you paired it with the metallic purse! Great look, especially your wedges+bag/ adore them both! okay, seriously... I LOVE THOSE SHOES!! and yes, i love subtle matchings like your shoe to your super cute satchel! and i loveeeee the print on that dress!